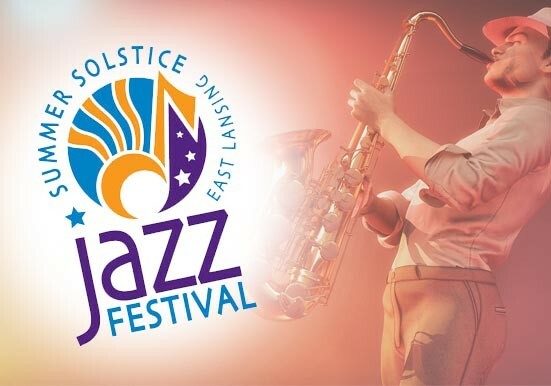 Don't Miss the 2017 East Lansing Summer Solstice Jazz Festival! Directly after the picnic, the Gabriel Brass Band will lead the annual, New Orleans-style, Second Line Parade to the Ann Street Plaza. An activity area at the Kozmik Piknik will offer parasols to decorate for the parade. Costumes are encouraged! Visit www.eljazzfest.com for more details and updates. Enjoy the festival or a day of playing in and around the Lansing area, then escape for an enchanting evening of food and relaxation at The English Inn Restaurant & Pub! Our Lansing area bed and breakfast is the perfect solution to your lodging questions for events like this. The English Inn Restaurant & Pub is located in Eaton Rapids, just a half hour from Lansing. Close to the hustle and bustle of the city yet world’s apart in it’s serene and soothing, old world style. Come discover the lush beauty of Medovue Estate in Eaton Rapids with a stay at The English Inn Restaurant & Pub.